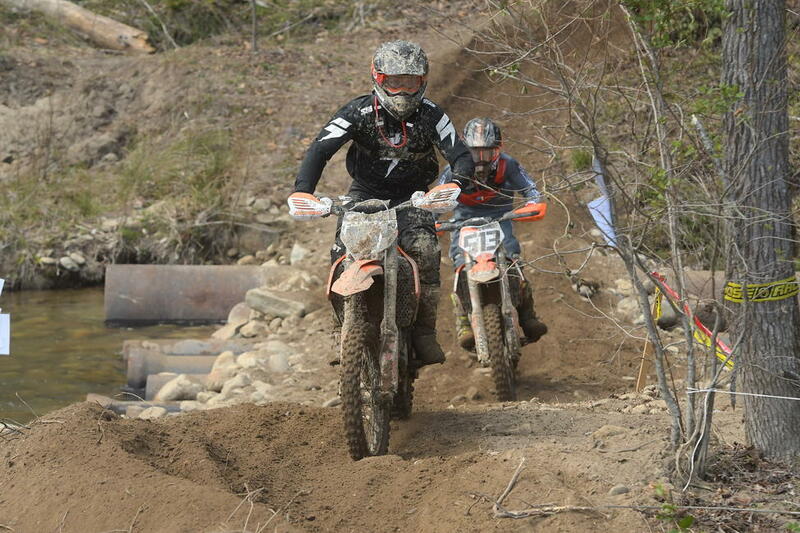 Ryder LeBlond won his first amateur overall last race at Steele Creek just over a week ago – by four minutes. He is from New Florence, Pennsylvania and is 17 years old. 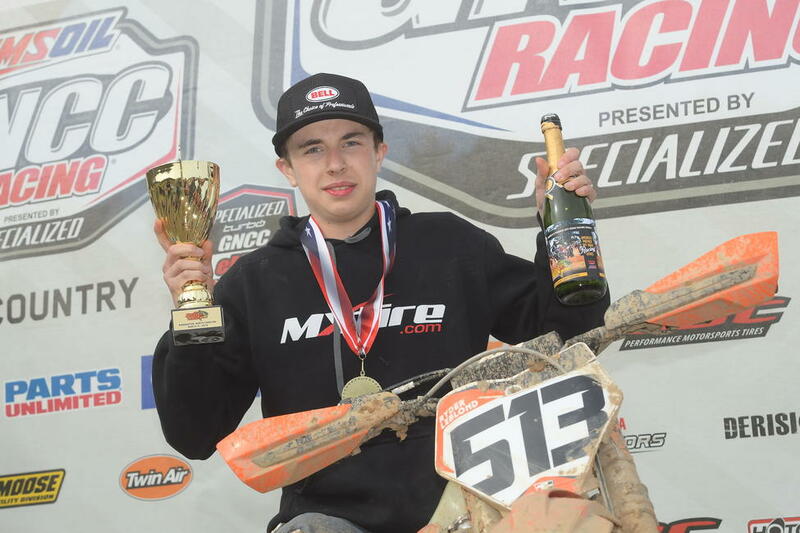 He attends his local high school, balancing schoolwork with the demands of top-level GNCC racing He competes in the 250 A class and hopes to win the title this year, in addition to tackling some new formats of racing in the hopes of expanding his horizons and increasing his skills on the bike. GNCCRacing.com: Hey Ryder, can you tell us a little bit about yourself? Ryder LeBlond: Yes, I am seventeen years old and from New Florence, Pennsylvania. I go to our town’s public school, Ligonier Valley High. I first started riding motorcycles when I was four years old. Do you ever find it hard to balance school and racing? Not really. I’m usually able to find time to ride and train after school. I can make it home by 3:30 or so after I get out. I come home and ride for a couple of hours, then I get on the stationary bike or go run. After that I do whatever schoolwork I have for the day, go to bed and start all over again the next day. The hardest part is the travelling, since we usually miss Fridays on race weekends so we can leave a little early, and of course I miss the week between Florida and Georgia. My teachers are pretty good about getting my work to me though. How did you get started riding in the first place? My dad, he always rode with his buddies when I was little. When I turned four, I got my first bike, a CRF 50. At first I wasn’t into racing, I’d just ride here and there on the weekends. When /I was around 10 I started to do our local series, AWRCS, it’s called. I didn’t do too bad at them. 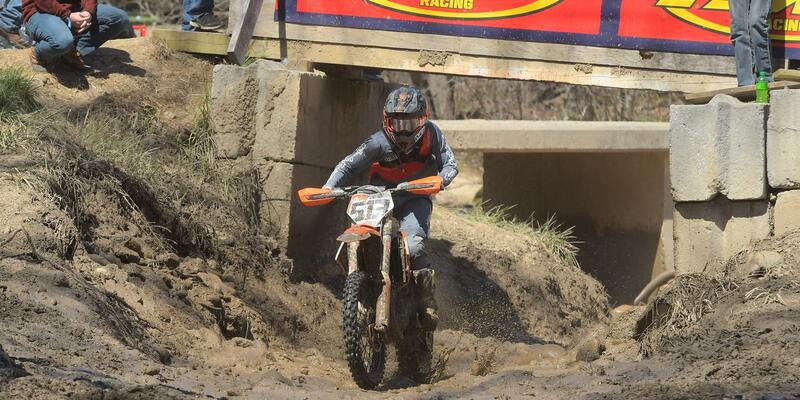 When I got onto 85s and superminis I got even more into it. Ever since then I’ve been really focused on racing and doing the best that I can. And was that about when you started doing GNCCs? So, Steele Creek was your first overall amateur, right? Congrats! Yeah, it feels awesome! The race went really well – surprisingly, since I usually don’t do very well at this track. But this year, I got a great start, had fun and got the win! Can you give us some details about the race itself? Yeah. So, I’ve been having trouble with my starts lately, since the 4-stroke is electric start only. But this time, I figured it out and got a great start! After that I just tried to maintain my speed and tried to keep consistent laps. I just pushed the whole time and at the end of the race won by four minutes! That’s awesome, you’ve got to do something to follow that up – what are you hoping to accomplish the rest of this season? I definitely want to consistently stay on the overall amateur podium! 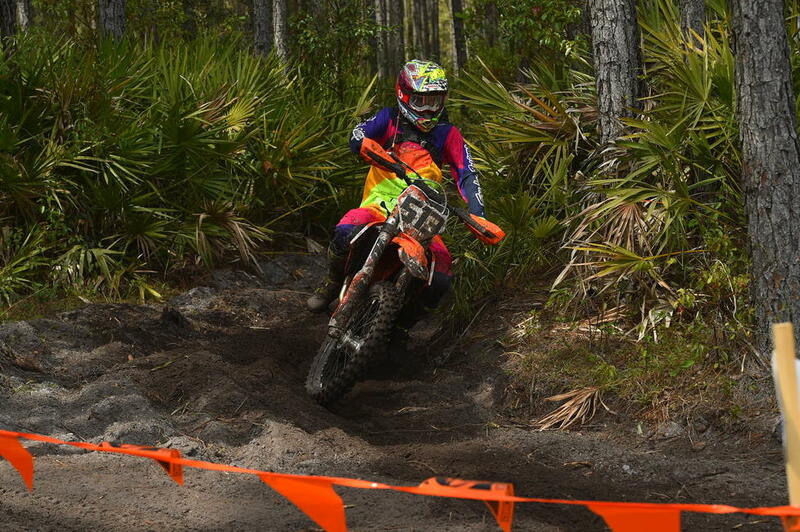 I’d like to get some more wins and win the 250 A championship – maybe win the overall amateur for the year too! You mentioned earlier that Steele Creek isn’t a round you normally do well at. Which rounds do you tend to prefer? I usually do better at the ones up north like Snowshoe, New York, High Point … those kind of races. Because I’m from Pennsylvania, they’re a lot easier for me. It’s the same kind of terrain. So, I bet you’re excited about the recent announcement – a new race in West Virginia and the Big Buck make-up race in Pennsylvania. Yeah, I saw that Thursday, and I’m happy to have the new race in West Virginia and it’s cool we’re racing in Pennsylvania … unfortunately, the Pennsylvania race does overlap with one of the races I was hoping to try – the Tough Like RORR extreme race, which is also in Pennsylvania. So, I am a little disappointed about that, but it’s a new race and a new venue and I’m still excited! Then I take it you like the rocky, gnarlier races? Yes, we have a lot of that stuff up in the mountains behind my house where I ride a lot. You can ride right out of the garage then? Yeah, usually when I get home after school, I leave right from my house to ride, we have trails back there. We also have a more moto-type place about 15 minutes away that’s an old strip-mine with a lot of natural elevation, but I do have to drive there. What are your long-term plans – do you think you can do this as a career, be a professional racer? I’m definitely training and hoping that I’ll be able to make it. To be the next Kailub Russell or something, that would be a dream come true. I think I have the skills and the mindset to make it to the pro level. This last question is usually the hardest: what is one interesting, non-motorsports related thing about you? Hmmm….. yeah that is a difficult question to answer. Does working on my bike count? (laughs) Anyway, I do enjoy mountain biking and riding BMX bikes, really doing anything outside and active is fun. I plan on doing some different types of racing this summer. Like I’ll be doing some National Enduros, some Full Gas Sprint Enduros and we’re planning on doing the rest of the Extreme Enduro series as well. 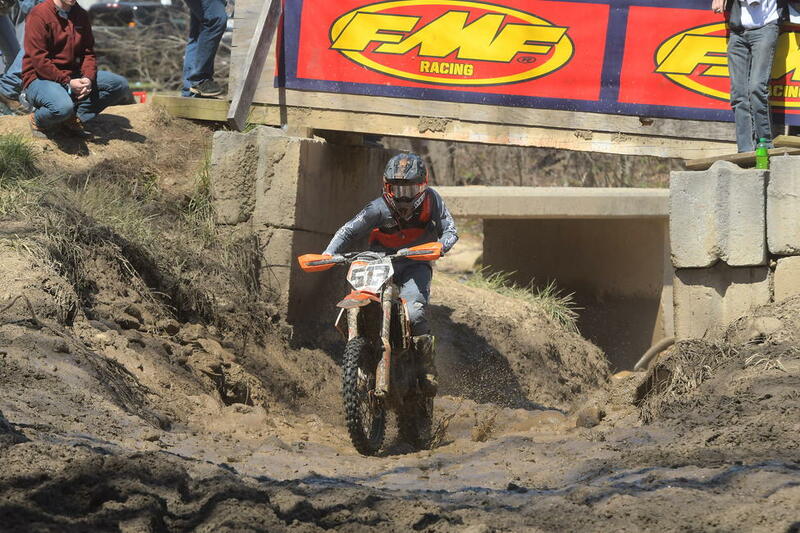 Last year at Tough Like RORR I got 10th overall, and then at the Tennessee Knock Out I finished 19th in the hot lap on Sunday before having a bike failure during the first loop. And who would you like to thank? First, I want to thank my mom and dad, Aaron Snyder and Jeff Cernic. I would also like to thank my sponsors: Bell Helmets, Scott Goggles, MXtire.com, Cernics Racing, and Dunlop Tires.